Holo, Lawrence, and Nora sit down to have dinner together, but Holo's animosity toward Nora prevents her from enjoying it. Later, Holo falls ill due to fatigue and is forced to rest for a few days. She dreams and reminisces about her past and her journey so far with Lawrence, realizing her affection for him is intensifying. Lawrence treats Holo's fever and fatigue by feeding her and balancing the four states, the hot, cold, dry, and wet. 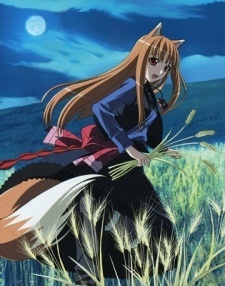 Over the course of her sickness, Holo grows closer to Lawrence, but Holo's aversion to Nora continues to cause problems. Nora visits Holo, however, and makes amends after sharing a joke at Lawrence's expense.